I can finally say that I have learned the imfmous twistout. It has been a long time coming. LOL...I will do a tutorial soon on how I got this look. 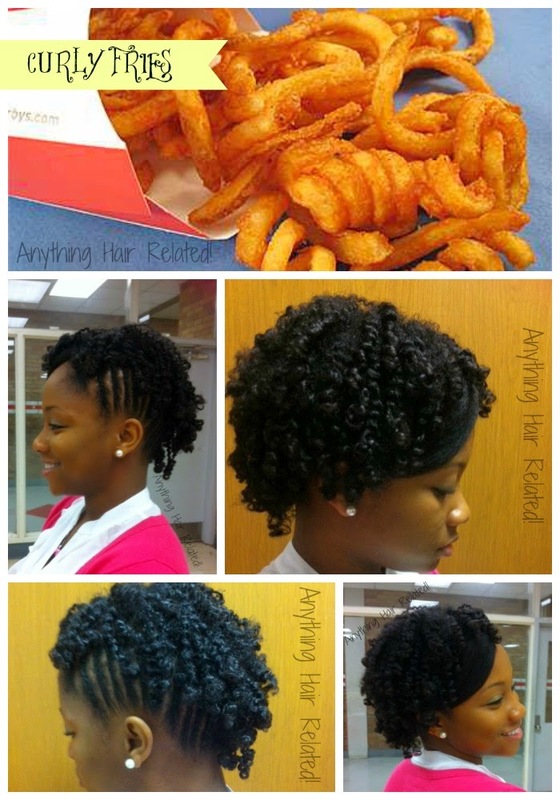 I call it "Curly Fries." It was insprired by a video I saw from Mo Knows Hair. One side is flat twisted with bantu knots, and the other half is a two strand twistout with perm rod curls on the ends. I'm going to retwist in about 2 days so I can get more wear out of them. I love this style so much and I will probably be rocking it for the summer as a protective style.